It’s time for a new edition of For Him and Then You Steal It. It seems somewhat obvious that the men’s brands work hard to develop great shaving products. No matter how you slice it (here’s hoping you don’t), shaving your FACE is one scary proposition and what you slather on there better protect you from disaster and leave you looking awesome. 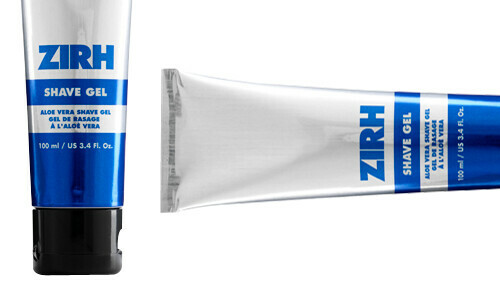 In the women’s category, I’m a huge fan of eos, but when it comes to shareable stuff, Zihr Shave Gel (in the tube) is my cult favorite. I don’t know how they did it but this gel clings like nobody’s business in the shower spray, feels truly moisturizing, and doesn’t smell like anything (which is awesome). The best thing is it’s clear, so you can see where you’re shaving. Need. I. Say. More. Does this: The ultimate shareable shaving gel - perfect for the shower.